Steiff EAN 112454 lama pendant keyring, 10cm. 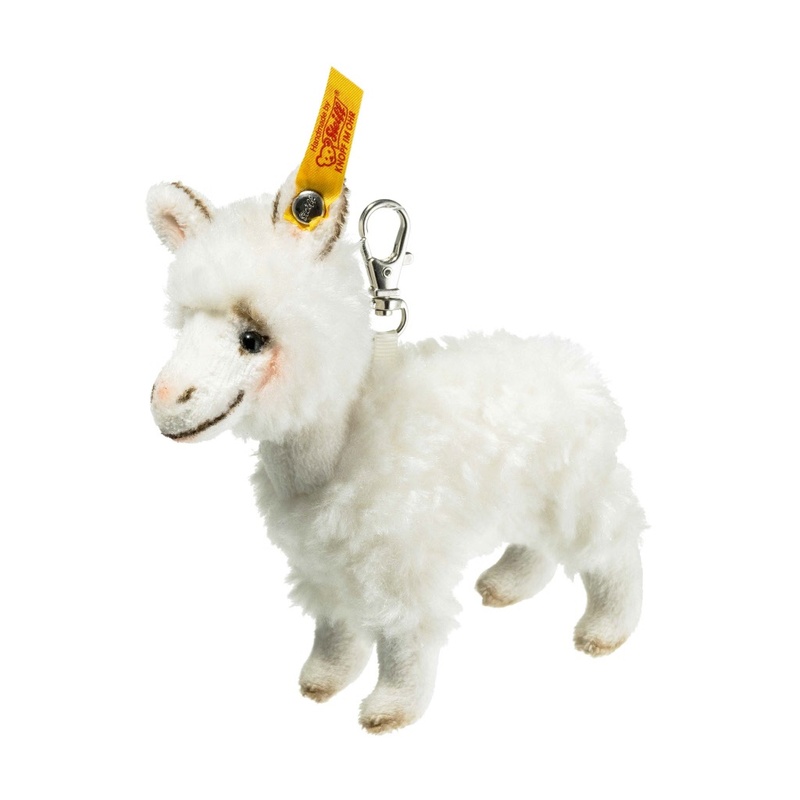 Keyring/pendant Llama is made out of soft off white plush. She is filled with synthetic filling material. Lama has sweet pink nose and safety eyes. Lama has a stainless steel button in her left ear.